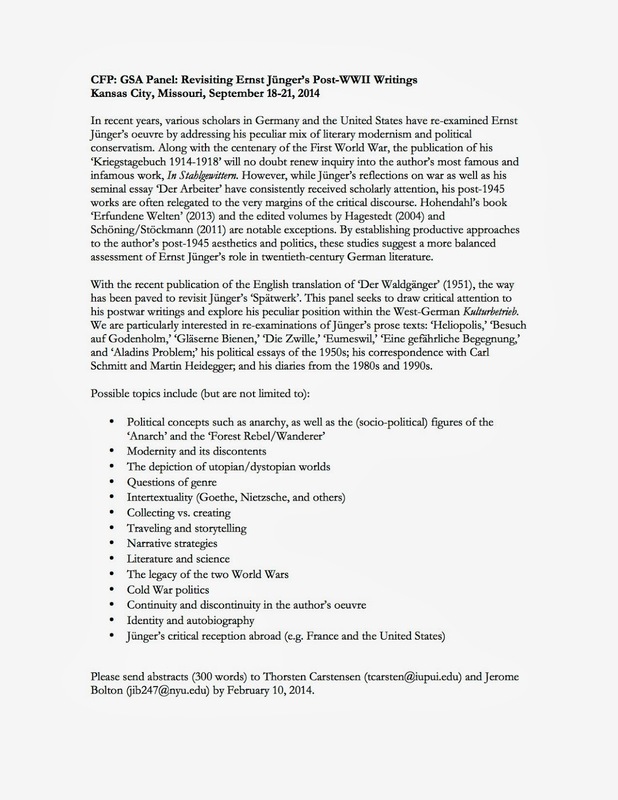 A Call for Papers on post-1945 Ernst Jünger, which for obvious reasons I am happy to pass on here - far too infrequently does this vastly more significant period of his life get attention from academia! Organized by/for the annual meeting of american Germanisten in Kansas City, Missouri, Sept 18 - 21. For more information, click on the text or contact Thorsten Carstensen: tcarsten(at)iupui.edu.